A team is a group of interdependent individuals committed to a common purpose who choose to cooperate to achieve exceptional results. Do you need guidance and support in reaching your goals? Our professional trainers are here to provide you with just that – and a heaping side of knowledge that sets them apart from the rest. *Disclaimer: We’re not the arms crossed, clipboard, burpees for punishment types. We’re the work with you and your unique body, hands on the floor doing burpees with you because we find them weirdly fun types. Just thought you should know. Our awesome team of professional trainers cover a wide range of specialties from athletes to youth, female-specific, group or individual training and everything in between. 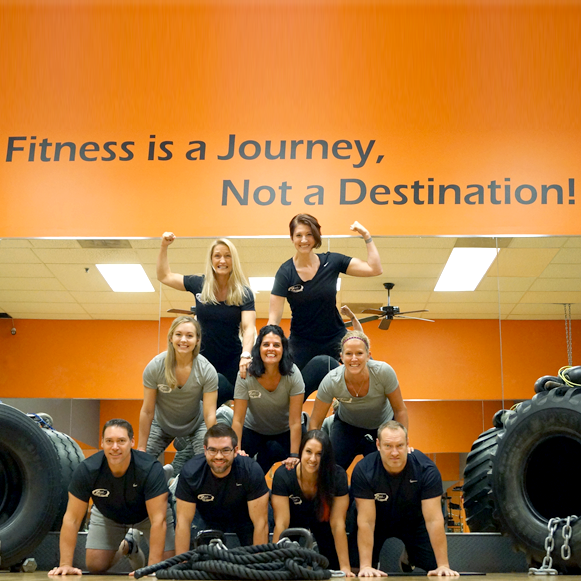 Are you already an awesome trainer looking to join our team of elite fitness professionals? Find out what it takes to be a Zone Team Trainer!